Brunch Pancake recipe | Everything Delicious. When you have people over for Sunday brunch but don’t feel like preparing a complicated or fancy breakfast menu, pancakes are the way to go! This quick & easy pancake recipe will please everyone. I assure you, they’ll soon forget all about the perfect eggs benedict you prepared last time they came over! In a bowl, whisk together all the dry ingredients: flour, sugar, baking powder, and salt; set aside. In another bowl, whisk together all the wet ingredients: milk, butter, and egg. Pour the dry mixture into the wet mix and stir until most lumps are gone (but don’t over-stir it or you’ll get flat and boring pancakes). Heat a pan, coat with oil and start cooking. Pour just enough for a nice round pancake, wait until it bubbles, flip and cook another minute max on the other side. Have fun with assorted toppings, from butter to maple syrup, to fresh fruits and whipped cream, all the combinations are allowed. 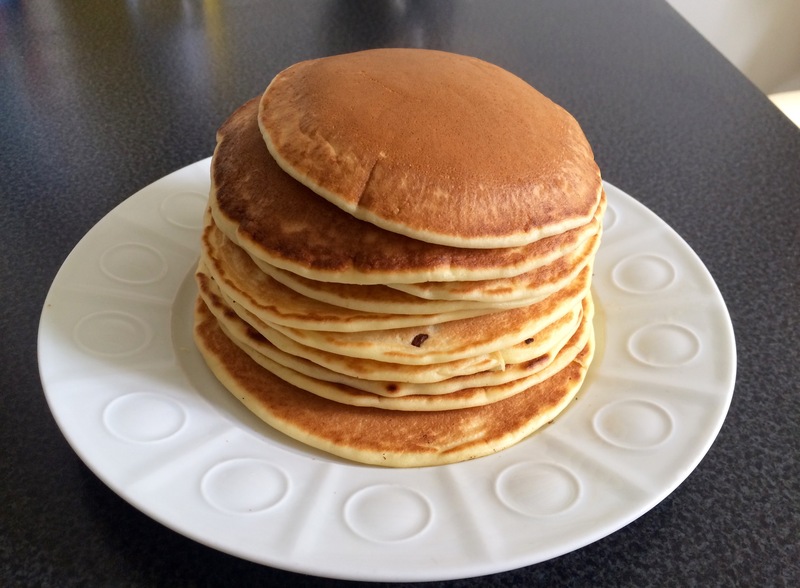 This entry was posted on July 25, 2016 by Pauline Rosen in Recipe feed and tagged best pancake recipe, brunch, easy pancake, pancake recipe, pancakes, quick pancake, simple pancake recipe, sunday pancake.